What happens when someone challenges the largest coffee corporation in the world and the capitalist ideals it represents? I recently learned the answer to that question when I walked into a Starbucks and started loudly screaming the word “capitalism” right into the barista’s face over and over again until she was forced to call the police. The experience opened my eyes to some shocking realities about our society. In my mind I thought, “Good. They should be frightened. Frightened about the cold, hard truths I’m revealing about their most fundamental beliefs,” but out loud I simply kept screaming “capitalism” even louder than before and I also knocked over a big stack of paper cups. This experience also taught me that when the human cogs that make up the capitalist machine are confronted with a man brave enough to scream “capitalism” over and over again pausing only to breathe every few minutes, they will eventually call the police. Rather than engage in the dialogue I was creating, the barista chose to call 911 and involve the local authorities. Yet even as the police were dragging me out of the Starbucks, I continued to scream “capitalism” again and again, as loudly as I could. The final thing I learned is that when capitalists ban you for life from one specific Starbucks location, you are also banned from all the other Starbucks in the world. The capitalist shills behind this massive corporation may believe they have silenced my voice, but it is my hope that others will take up my cause in my absence. 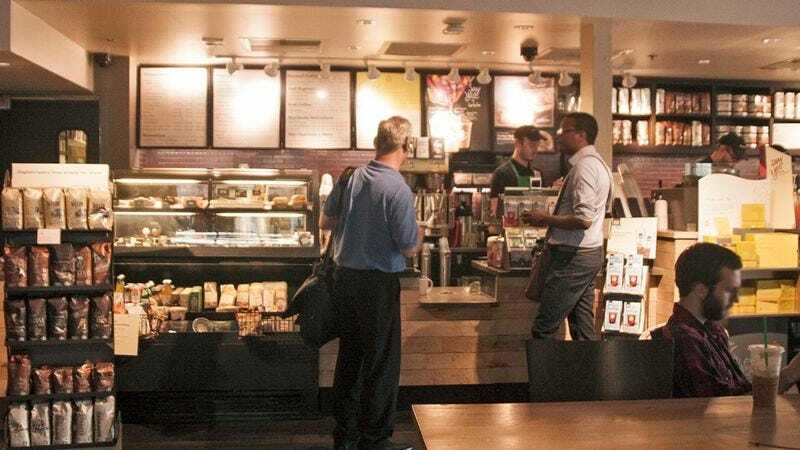 If you want to make a change to the world around you, march into the first Starbucks you find, and begin to scream “capitalism” over and over again. The time for action is now.